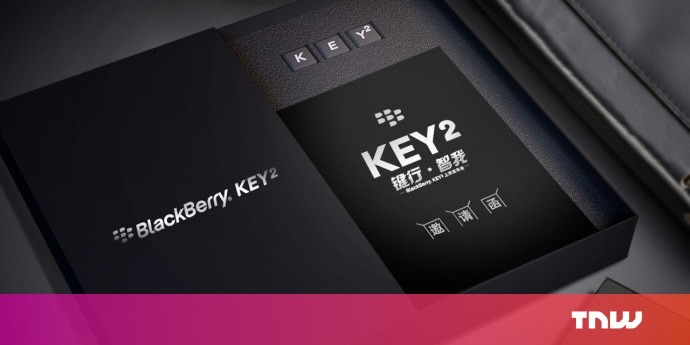 I’m not a little bit embarrassed to say I’m really excited about the upcoming BlackBerry Key2. I was a huge fan of the first, and I’m intrigued to see how TCL (the licensor of the BlackBerry brand) has improved on arguably the best physical keyboard phone to date. The Key2’s launch is penned for June 7, and will take place in New York City. Interestingly, the company is also planning a separate launch for the Chinese market, on June 8. BlackBerry announced the launch on its official Weibo page. Unfortunately though, it doesn’t reveal much about the phone itself, other than the fact that it’ll ship with a dual-camera setup. We already knew that though, courtesy of the teaser trailer BlackBerry dropped recently. It’ll be interesting to see what BlackBerry’s got in store for the Chinese market. We do know that BlackBerry is attempting a previously-untried retail strategy, which has seen it open stores in both Shanghai and Nanjing. China is a notoriously tough nut to crack for Western phone firms, and the company will face fierce competition from local manufacturers, like Oppo, Huawei, and Xiaomi. And that’s saying nothing about Apple’s strength in the upper-end of the market.